Sound Forge 2 is available at a reduced price for a limited time. Sony has released Sound Forge 2, a new version of its audio editing software that's exclusive to the Mac App Store. 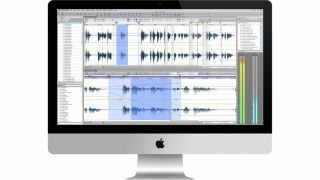 Promising many of the editing tools from Sound Forge Pro Mac 2, this also adds the Wave Hammer compression/limiting technology, which is coming to the Mac for the first time. "We're excited to bring our world-class Sound Forge experience to the Mac App Store," said John Freeborg, vice president of Sony Creative Software. "For an unbeatable price, customers can quickly download Sound Forge 2 and immediately start accessing high-end capabilities for recording, editing, processing, and rendering broadcast-quality audio master files." Sound Forge 2 has a regular price of $99.95, but is currently available on the Mac App Store priced at £54.95/$79.95. You can find out more on the Sony Creative Software website. Record: Record pristine audio - up to 32 simultaneous channels at 24-bit/192 kHz resolution. Edit: Configurable viewing panels allow you to toggle to any project view you need in seconds - see everything at once, or toggle the view to see only the features you want, when you want. Process: Includes native processes such as fade, flip, mute, volume, normalize, and reverse. Conduct time and pitch modifications with Zplane™ technology. Easily access your 64-bit AU and VST plug-in collection. Render: Save audio files in formats including 3G2, 3GP, AAC, AIF, CAF, FLAC, M4A, MP3, MP4, OGG, SND, W64, and WAV.